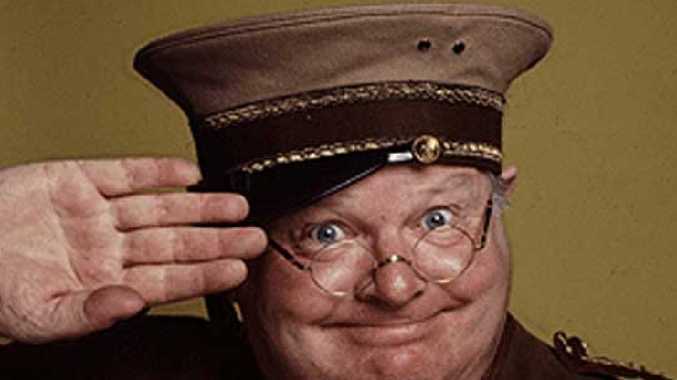 The Benny Hill Show theme is topping the hit parade of ringtones. Ringtones may be so 2006 but they are making a comeback as an emerging genre of music on streaming services. Buried under the avalanche of Drake and Post Malone No. 1s in Spotify's 2018 Year In Music results was the Genres That Grew the Most, with the Ringtone coming in at No.4. Click through to the Sound of Ringtone playlist and topping the hit parade is The Benny Hill Show theme aka Yakety Sax, the 1963 novelty instrumental hit recorded by Boots Randolph. Despite most people put their phones on silent or default to the library of ringtones available on their handset, ringtones like Yakety Sax or the themes from Forrest Gump, Harry Potter, Avatar or The Simpsons are enjoying a surprising resurgence in the streaming era. 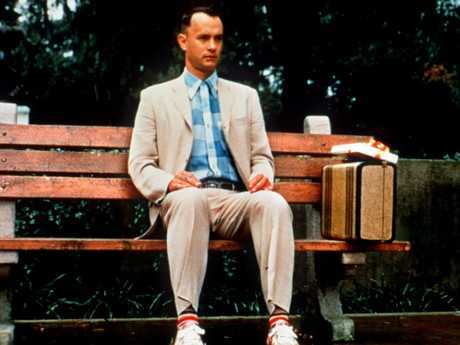 The Forrest Gump theme is part of the Ringtone playlist revival. 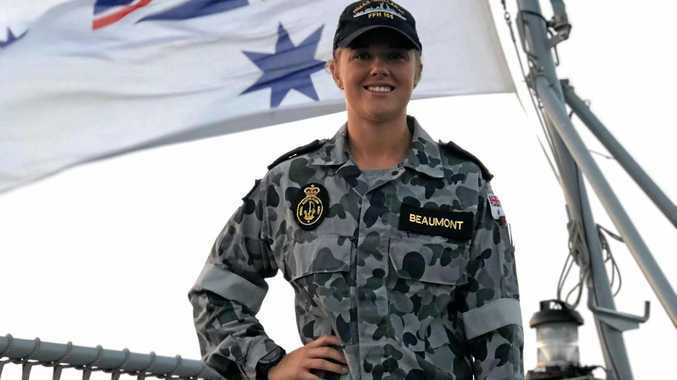 Picture: Supplied. Spotify themselves were equally surprised and bemused by the result popping up in their 2018 end-of-year list. One data cruncher suggested the renaissance of those itsy bitsy sound bites may be due to the rise and rise of the meme. The Ringtone playlist is populated by "short, funny tracks which listeners are sharing". "The playlist as a format is still evolving and offers an interesting opportunity for other kinds of audio to make it more than just a straightforward list of songs," a spokesperson said. "We don't like to assume but perhaps we can infer that this is largely reflective of meme culture and the currency of shareability." Yakety Sax in particular has been a hugely popular soundtrack in recent years to viral videos of men dancing at raves. The Benny Hill theme replaces whatever music they are dancing to at a festival, making the moves wickedly funny. While the themes of major box-office busting films are dotted throughout the Spotify playlist, other random sounds proving popular are Ominous Church Bells, the Laughing Baby Remix and Pull My Finger ringtones. Surprisingly, Crazy Frog didn't figure in the top 30 songs on the playlist. The biggest emerging genre on Spotify this year was EMO Rap, with Lo-Fi Beats, Deep Talent Show and Brega Funk also making the top 5. 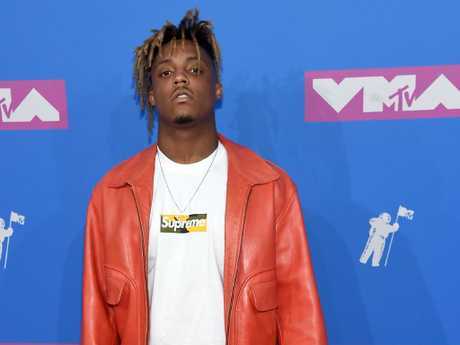 Falls Festival artist Juice WRLD is partly responsible for the rise of the EMO Rap genre. Picture: Jamie McCarthy/Getty Images. EMO Rap recognises the breakout popularity of artists who fuse hip hop with emo lyrical themes usually associated with indie rock, pop punk and nu metal. The artists categorised under this subgenre include Kid Cudi, Juice WRLD and all the Lils - Lil Uzi Vert, Lil Peep, Lil Xan and Lil Yachty. Deep Talent Show is the genre dominated by American television talent show contestants while Brega Funk reflects the next emerging Latin music trend from Brazil. Lo-Fi Beats is the music you want as background while you're trying to focus on work.